You're frustrated with Wells Fargo and looking for a change. Over the last few years we have heard from clients ready to leave the San Francisco bank. In 2016, various regulators fined Wells Fargo $185M for illegally opening accounts without the consent of their customers. Whistleblowers in the financial advisory division share how they were incentivized to push clients into products that generated more fees for the client and bigger bonuses for the Advisors. California, Chicago and other cities and municipalities have since stopped doing business with the bank. For those that are ready to leave but not sure how to get started, we outline the steps. Conduct due diligence on your prospective new bank. Compare fees and rates. Make sure the rates being offered on deposit accounts are competitive and the fees being charged are transparent. Focus on the services you depend on the most, such as ATM withdrawal fees. Consider credit unions and online banks which tend to pay higher rates than national banks. Make sure your new bank has insurance. This search will verify that your new bank has FDIC insurance (use this search if your new bank is a credit union). The Federal Deposit Insurance Corporation (FDIC) is an independent U.S. Government agency that protects your deposit accounts if your bank fails. Your coverage is automatic as long as your bank is insured by the FDIC. Each "category" of account is covered for the principal plus interest up to $250,000 per bank. Find out who your new bank is in business with. You give banks your money with the understanding that they can lend it out to other customers for a profit. Some banks have chosen to stop lending to customers that aren't a fit for them such as gunmakers, private prisons, and projects such as the Dakota Pipeline. Since you're making a change from Wells Fargo anyway, why not consider a bank that is vocal about things you care about. For example, this search will find Community Development Financial Institutions (CDFIs) that fund nonprofits, affordable housing projects and small businesses in underserved communities. There is no environmental requirement to becoming a CDFI, which is part of the US Treasury, so maybe you also want a bank that is a certified B Corp. These are things you probably didn't consider the last time you chose a bank, but the industry has changed. There is more transparency than ever - so don't settle. Even if you change banks - you're still attached. If you're invested in an S&P 500 index fund, a Total Stock Market index fund or a Vanguard Target Retirement fund to name a few, you are still holding Wells Fargo. You may have no choice - 401k investors typically have limited investment options. But for those with flexibility, you have the ability to invest in products that reduce or exclude Wells Fargo and other companies that don't meet high standards when it comes to environmental, social and governance (ESG) factors. Similarly, your portfolio's exposure to companies can be increased if they have high ESG ratings. Unfortunately, it's not as simple as plucking Wells Fargo out of your stock portfolio or picking a fund with ESG in the name. For example, we've had clients drop Wells Fargo for banking only to invest in Vanguard's FTSE Social Index (VFTSX) thinking that would be a better fit for them. In fact, VFTSX still holds Wells Fargo, as do many ESG funds. Even if you find an ESG fund that doesn't include Wells Fargo or is greatly reduced, it may not fit your other needs for risk, return and composition. There's a lot that needs to be considered when investing, but we can help. 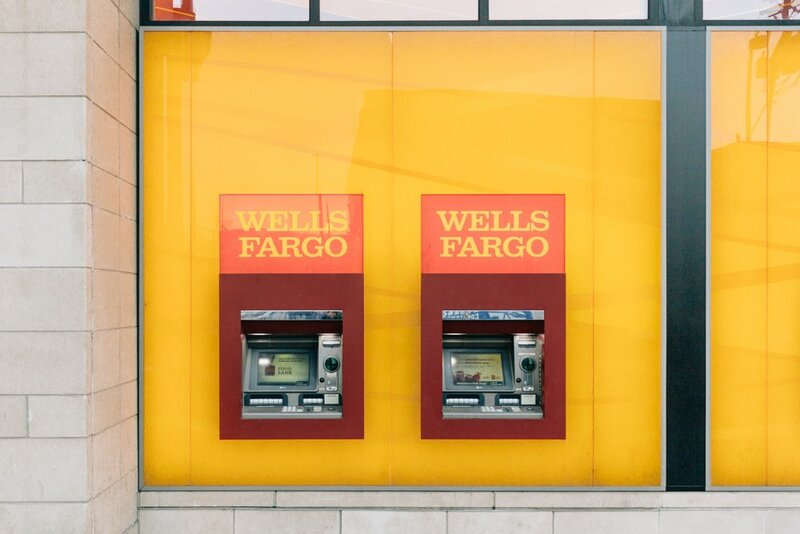 Take action and let Wells Fargo be your first - but not your last - example of finding ways to do more with your money. You have viable alternatives to traditional investing that will meet your goals, risk and return objectives without ignoring the issues important to you.